This sturdy screen protector will prevent scratches and protect your Minolta DiMAGE G500 Digital Camera screen while still looking good. 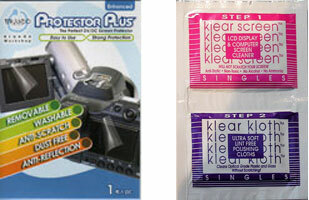 This screen protector is customised to fit your Minolta DiMAGE G500 camera screen perfectly - no adjustments needed. It will improve the life of your valuable screen.